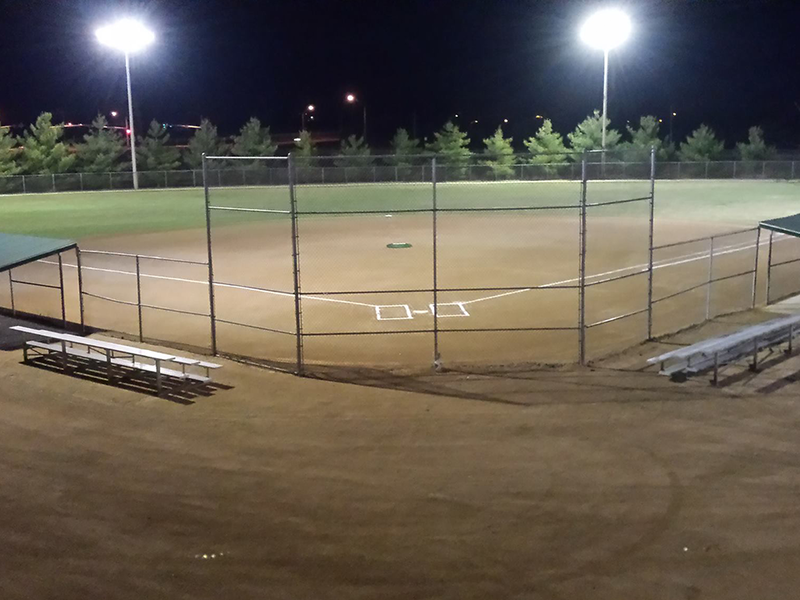 Perfect Game Park features 4 fields of various age-appropriate sizes for baseball and softball, newly renovated fields, fences, and dugouts. In addition to an excellent sporting venue, other amenities include delicious concessions, clean restrooms, large pavilions for parents and spectators, and an event pro-shop(soon to come). Perfect Game’s goal is to restore this classic complex for the enjoyment of generations to come. Events include youth baseball and softball tournaments and leagues, summer camps and instruction series, Fall leagues and more. Coming 2019-Prospect Meadows-8 turf infield brand new fields at County Home Road and Hwy 13. Perfect Game will be hosting baseball and softball leagues and tournaments for all ages as well as special tournaments all through the year. We will have the best competition from not only Iowa but surrounding states. More information to come. 2019 PERFECT GAME FALL SOFTBALL LEAGUE-PLAYED AT THE NEW PROSPECT MEADOWS COMPLEX IN MARION, IOWA. 9 WEEKS-STARTING Aug 19th and ending Oct 17th. All teams will play 8 games with at least one bye week. Teams may play DH. All certified umpires will be paid and provided by Perfect Game. Softball provided by Perfect Game. Cost you ask: $240.00!!!!!!!!!!!! Lets play some softball! Thanks for supporting Perfect Game!!!!! If weather issues we will move to Prospect Meadows turf fields for 8-12u if fields are available. THIS WILL BE A 2 DAY 5 GAME GUARANTEED TOURNEY 10U-12U-14U $495.00 plus $5.00 per day gate fee. 1ST ANNUAL PERFECT GAME SOFTBALL COACH PITCH LEAGUE. STARTING JUNE 3RD EVERY MONDAY AND WEDNESDAY FOR 4 WEEKS. USE THIS SLINK TO SIGNUP. 1ST ANNUAL PERFECT GAME YOUTH COACH PITCH LEAGUE. STARTS TUESDAY JUNE 4TH AND RUNS EVERY TUESDAY AND THURSDAY FROM 10AM-11AM.